A lot of the work done by My Olive Tree centers around the Negev Desert. The desert has been home to people dating back up to 7,000 years, when some believe the first nomadic tribes roamed through the region in search of a permanent home. 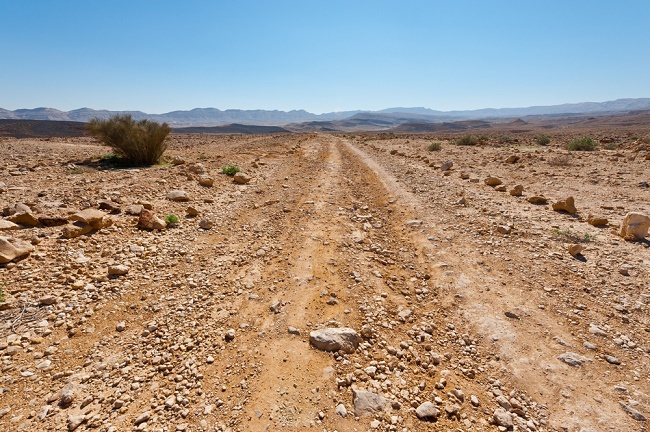 Ever since that time, the story of life in the Negev has been turbulent, to say the least. One of our goals is to help quell that turbulence and restore peace to the region. In terms of the region’s biblical history, the earliest mentions of people living in the region come in Genesis 13. Abraham, arguably the most important figure of the Old Testament, is said to have lived in the Negev after he was banished from Egypt. The desert was later split into two portions; the northern portion was inhabited by members of the Tribe of Judah, and the southern by the Tribe of Shimon. As time went on, the Negev was part of both the Kingdom of Solomon and the Kingdom of Judah. As the Assyrian Empire began to rise around the 9th century BC, the area saw a major increase of development in terms of mining throughout the region. Several hundred years later, the Nabateans arrived in the Negev and developed a refined irrigation system that made their settlements popular stops on trade and spice routes. Remnants of Nabatean buildings and civilization can still be seen in the region along the ancient trade route. When the Romans seized control of the region in 106 AD, the Nabateans were diminished to mostly a tribal civilization. In the 4th Century AD, the Byzantine Empire brought Christianity to the region, and agriculture began to expand at a rate previously unseen. The population began to boom in the Negev, especially as time went on to the 8th through 11th centuries. The mines and quarries became busier, the irrigation and road networks became more extensive, and the region became an economical hotspot. Unfortunately, once the Ottoman Empire arrived, the excellent irrigation and road systems were not kept up as well as they should have been, causing the desert to cancel out centuries of hard work. Today, My Olive Tree works to restore the booming trade and agriculture of the region to help bring prosperity back to the Negev. For more information, we encourage you to contact us at My Olive Tree. NEGEV DESERT – MAY 15: An Israeli farmer in his vineyard on May 15 2009 in the Negev desert, Israel.Many Israeli farmers using ancient desert farming methods from the time of the Nabatioan people.